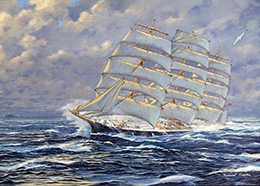 Deep-laden with saltpetre, the 4-masted barque Padua heads south for Cape Horn. 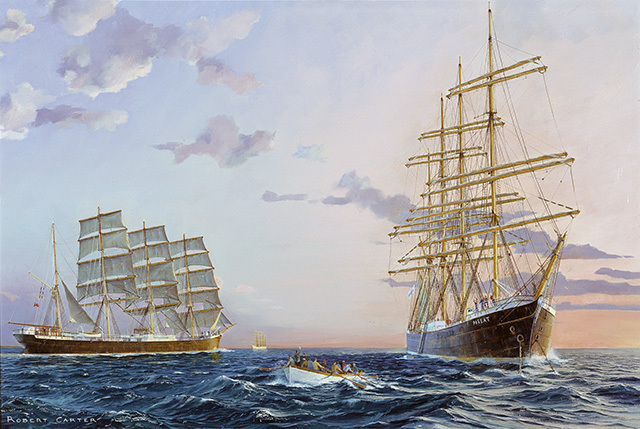 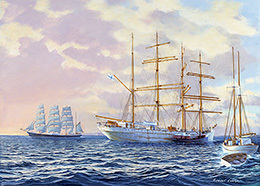 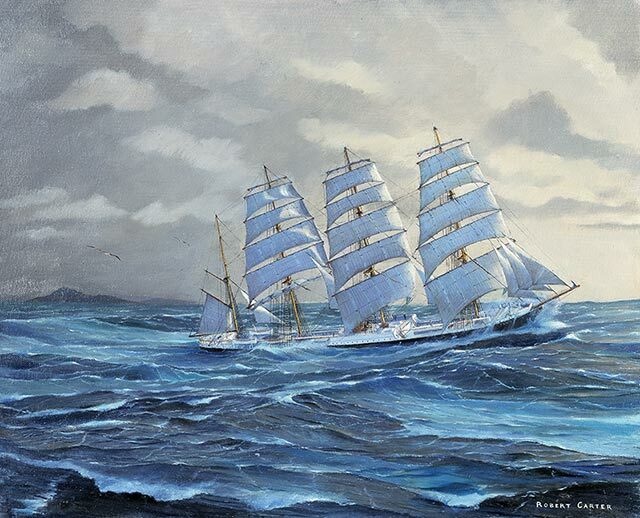 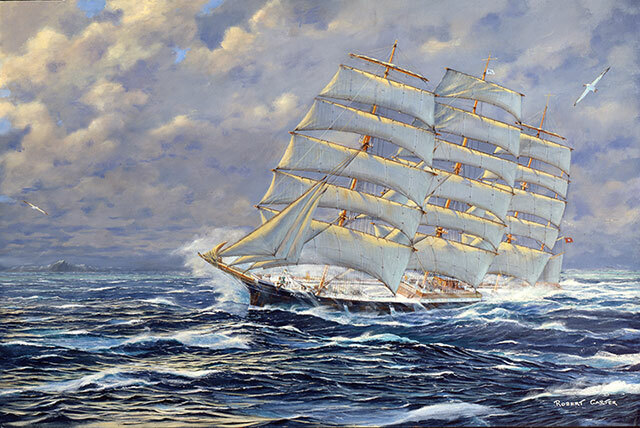 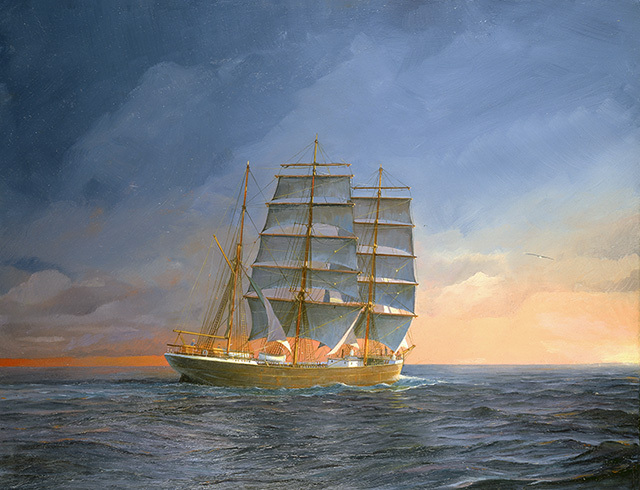 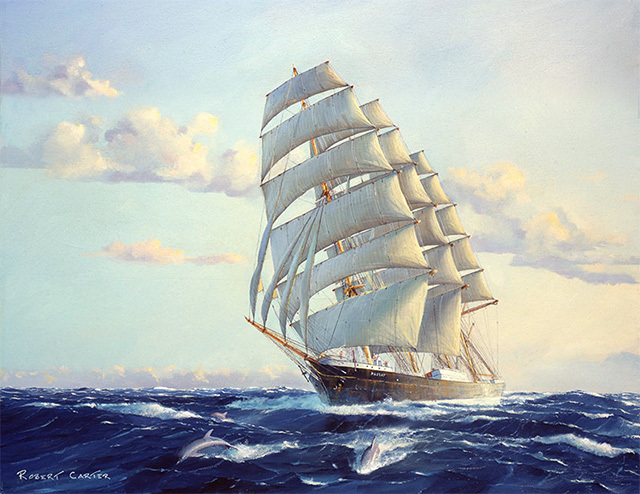 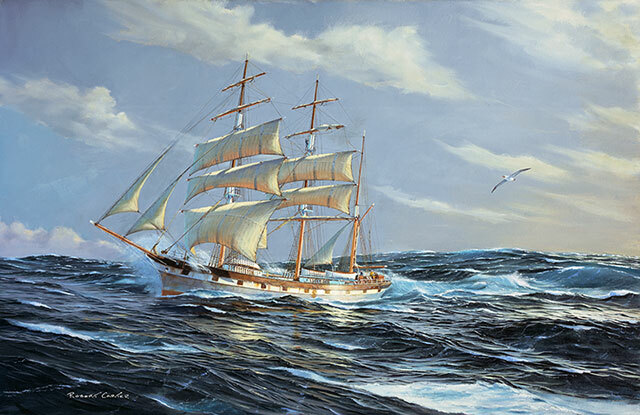 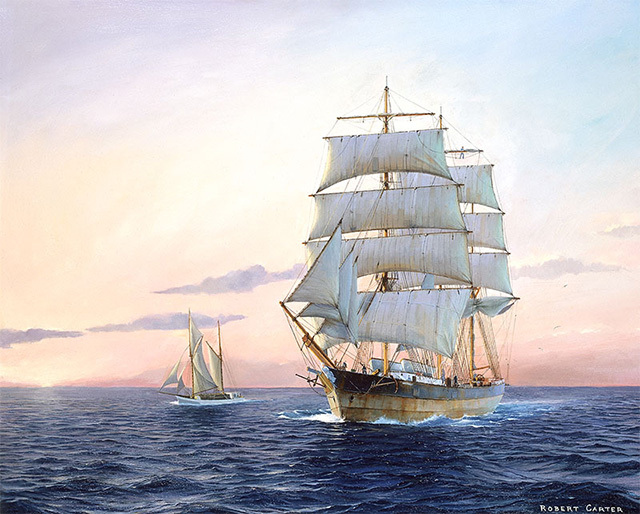 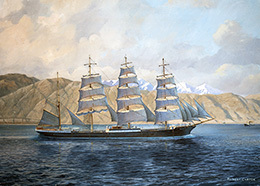 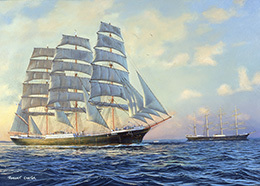 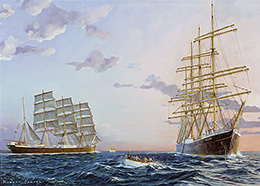 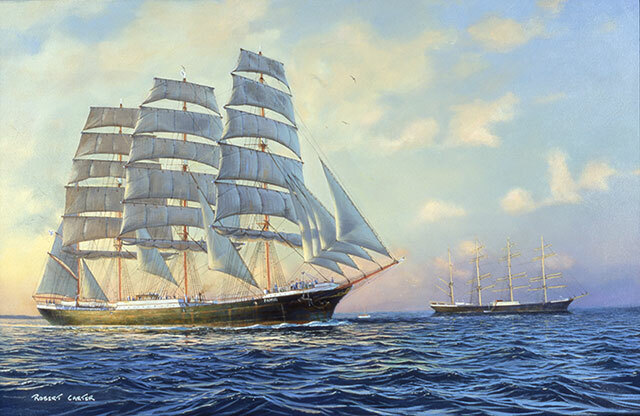 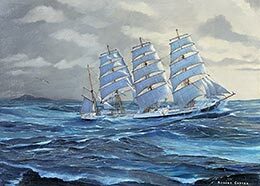 The 4-masted barque Pamir rounds Cape Horn on 11 July 1949. 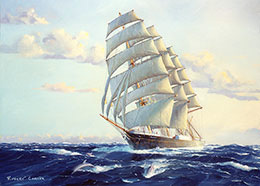 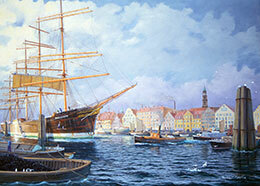 The 4-masted barque Pamir commences her last voyage as an engineless ship. 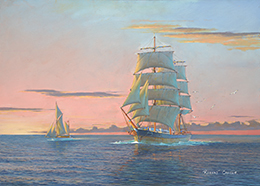 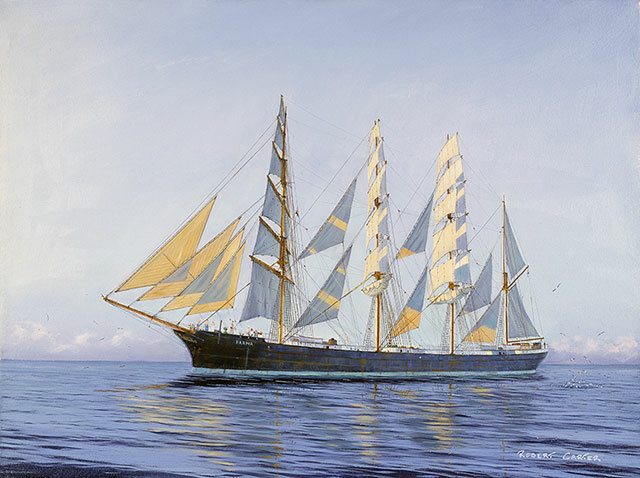 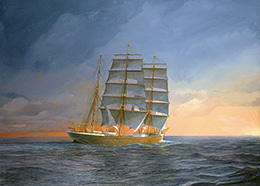 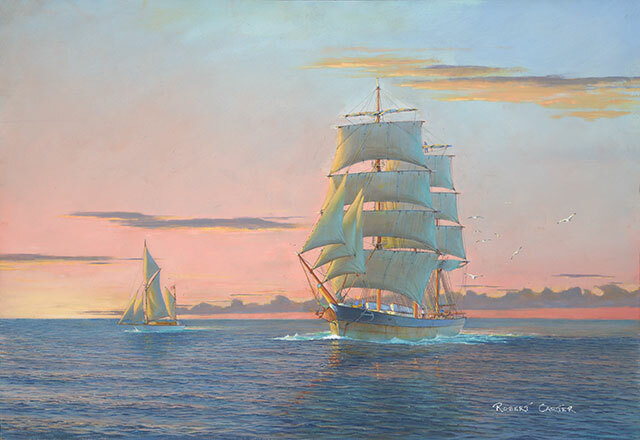 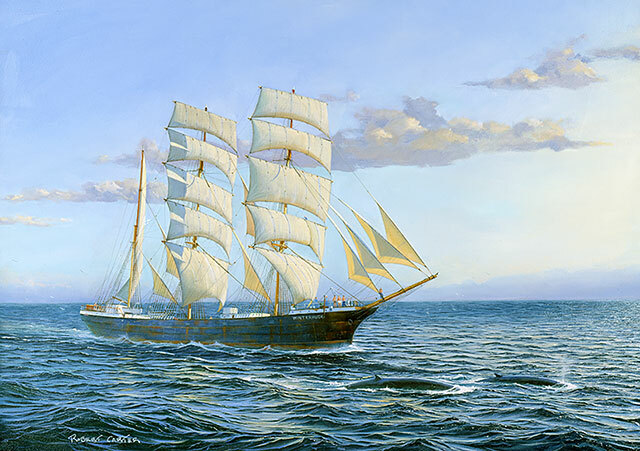 The 4-masted barque Parma becalmed in the Doldrums. 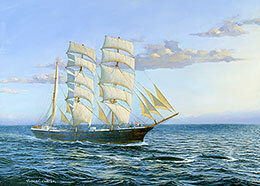 The 4-masted barque Passat in the Trade Winds. 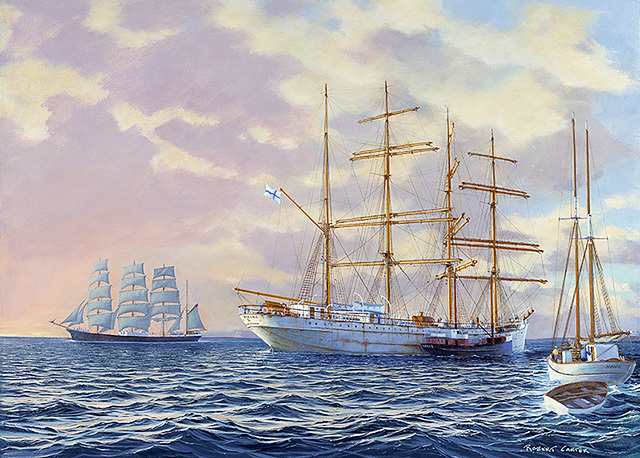 1948: Passat, Viking and Lawhill are seen together for the last time. 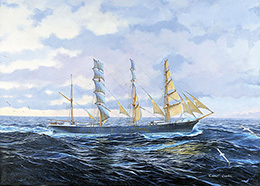 Penang as she was prior to 1933, returning to Europe by way of Cape Horn. 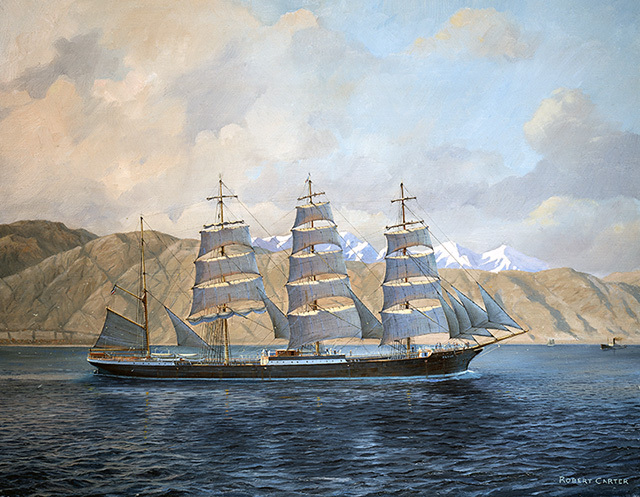 Polly Woodside transported coal to Chile, returning with nitrates. 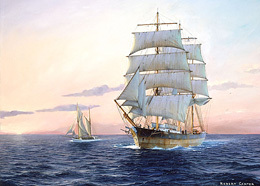 Pommern heads north from the Great Australian Bight into Spencer Gulf. 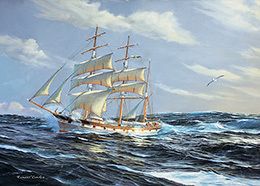 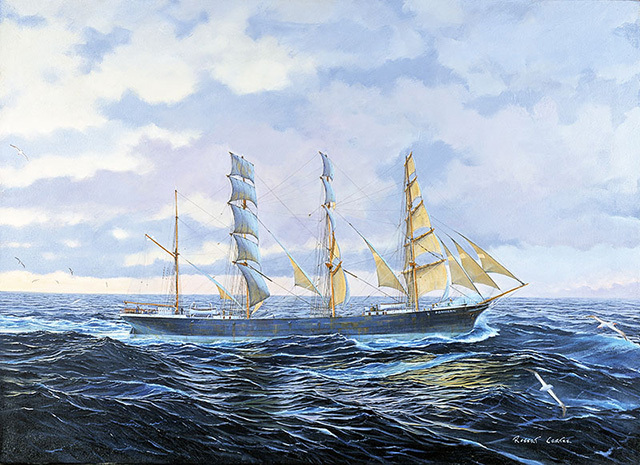 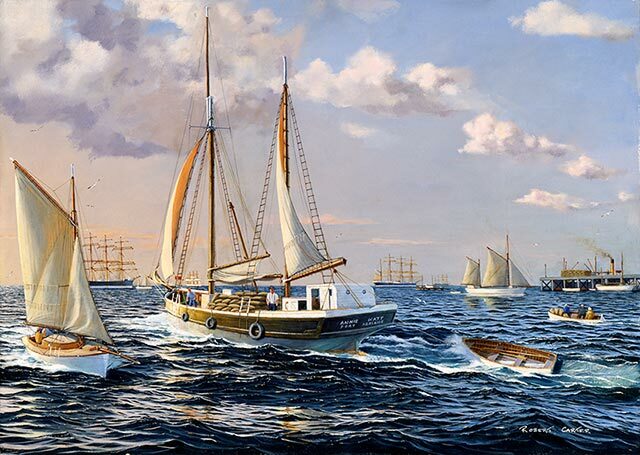 Priwall achieves the fastest ever east to west rounding of Cape Horn by a commercial sailing ship (1938). 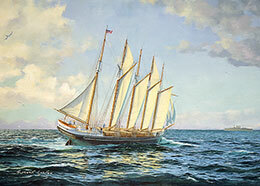 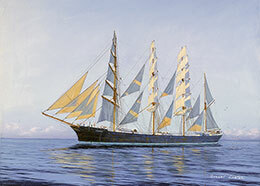 The 5-masted schooner Vigilant was one of the last sailing ships built on the US Pacific coast. 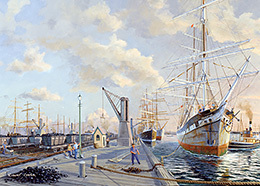 The Finnish 4-masted barque Viking being loading with grain headed for London. 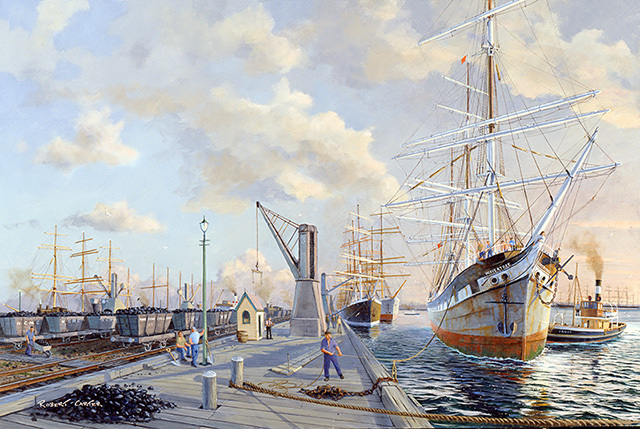 Wavertree alongside the coal-loading wharves at the entrance to the Hunter River.